Harlan Coben is one of the world’s most acclaimed thriller novelists. He has won the praise of critics, written eight consecutive bestsellers and in 1997 became the first mystery writer to receive all three of the prestigious mystery writing awards – an Edgar Award, a Shamus Award and an Anthony Award. 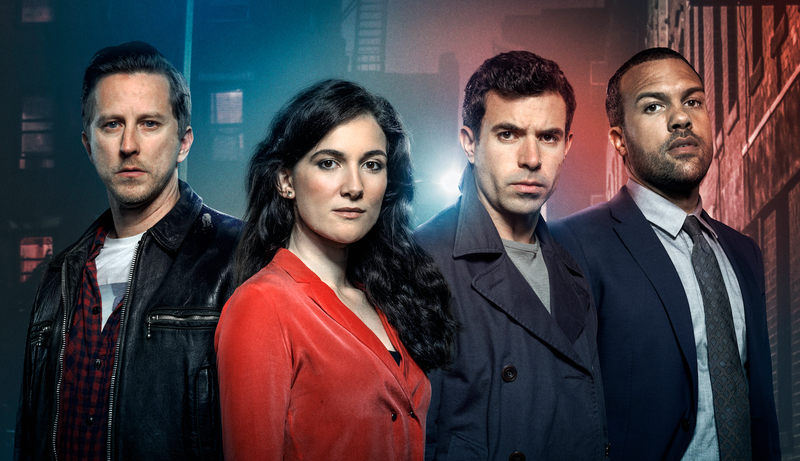 Now Coben has turned his attention to the small screen with new series ‘The Five’, which airs on Sky 1 on Fridays at 9pm. We spoke to Coben about what to expect from the engrossing new series, his transition into television and what exactly the secret is to writing a bestselling novel. Where did you get the idea for The Five? I wanted to write a story about long time friends. I was in a park one day and I started to think – watching kids play – what could go wrong? What could reverberate? I came up with this idea of five kids playing in the park – they make fun of one, he’s sent home and he just disappears. He doesn’t disappear for one day, five days, one week, a year [but] twenty years. And now his four friends are being reunited to find out that the DNA of one of the kids has shown up again – that he may still be alive. I thought that’s a really compelling way to start. What convinced you to make the move into television and why now? I think we’re living the golden age of television. I don’t think it’s ever been this good, where you could tell a story like this in ten parts. For me this is like taking a novel and putting it straight out. It’s an original idea, it was good for a novel, but instead it made it straight into a television series. You couldn’t do that several years ago. The second reason was I was approached by Nicola Shindler of RED Productions, who has done such great shows as Happy Valley and Last Tango in Halifax and Queer as Folk, to do a show. That combination of her British sensibilities and my American story, I just thought would make a perfect pairing. Why work with a British network rather than an American one? Sky 1 has been a wonderful partner, but it has really been all about working with RED Productions and their slate of great shows. In the world now, you can really eventually see TV wherever its produced. I think one time you had to be in your own country to do it, but now we shoot shows from Scandinavia, we shoot shows from France, from England. I did a show in France, in fact, last year. I just wanted to be in a place where I thought I could make the best show with the least interference. The most like what my original vision would be and I felt like the Sky 1 production in Great Britain was the place to do it. What are the main challenges of creating a television show, compared to a novel? The biggest difference is that you’re collaborating. [A novel is] a completely solo activity, you are everything. For a TV series, it’s all about the opposites, it’s a complete collaboration, it’s a complete team effort. If you have a victory, it’s kind of like if you have a victory in a tennis match – you celebrate it on your own. [Whereas in] a football match you have a whole team to celebrate with. How different was your vision to the finished TV series? The Five is extremely gripping, how do you plan your twists? I love twists, I love turns, I love to keep you engaged – I think that the key is that it has to be done in a way that’s not just cerebral. I can stir your mind and I can stir your pulse, but if it doesn’t stir your heart, it doesn’t work. The key is to make it something that will have an emotional impact rather than a surprise. Will you be writing a novelisation of The Five after it finishes airing? I will not. I don’t like novelisations, they kind of bore me, so my plan is not to. What do you think is the secret to writing a novel that readers can’t put down? I try to write a novel of immersion – people call it a crime fiction or thriller or mystery, but I call it novel of immersion. I want to write the book that you take to bed at 11 o’clock at night and you say ‘I’m just going to read for fifteen minutes’ and the next thing you know it’s four in the morning and you’re happy but a little bit delirious. I want every page, every paragraph, every sentence, every word to count. I ask myself, is this compelling? Is this gripping? Is this moving the story forward? It’s really really not about wild twists and turns that the books will have, it’s more about wanting to follow the characters as they take these wild twists and turns. Which of your novels do you think would make a good television show? Oh, tons. I’m doing another one in France right now, for my book ‘Just One Look’ and Nicola Shindler and I have formed our own production company called Final Twist, and we plan on trying to make an American TV series out of my book ‘Six Years’. What television shows do you enjoy watching? I just finished the second season of Happy Valley which I really loved. My all time favourites include Breaking Bad, LOST, Dexter, Homeland, True Detective, Sopranos – that’s a pretty good list. 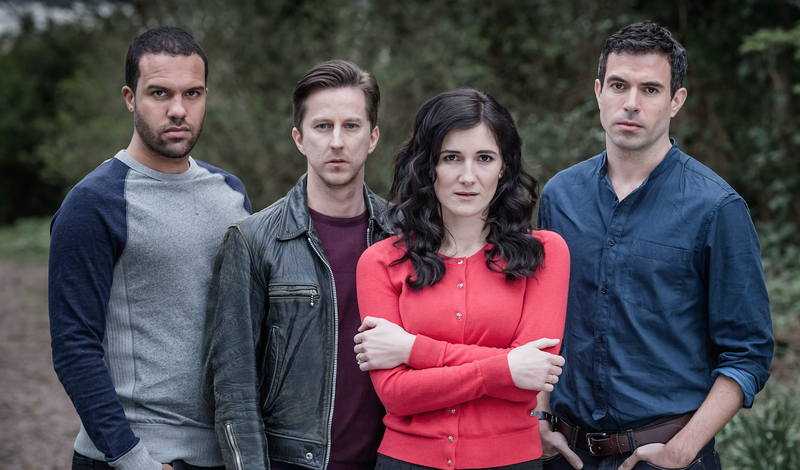 Harlan Coben’s The Five airs on Fridays at 9pm on Sky 1.